There are thousands of drivers on the road each year and that number only seems to be rising. Whilst this helps most of us travel from A to B, it often means that we miss out and don’t notice the wonders that we pass, such as the historical buildings that adorn almost every street in the UK. Each offers a unique beauty that can go unnoticed and unappreciated by passers-by and, without the efforts of historical building restoration, could disappear completely. It’s now time to start noticing the details and paying attention to the striking design that each building has to offer. Why is it Important to Notice the Finer Details? Without noticing the finer details, many people can wander through life completely unaware, missing out on the beauty that the world has to offer. Whilst this may not seem to be an issue now, can lead to many regrets later down the line. Historical buildings offer an insight into the architectural design from bygone eras and, without taking the opportunity to appreciate where architecture has come from, can you really appreciate where it is today? Historical buildings bring something different into our lives, something that cannot be replaced by the new and, whilst they remain in good structure through the help of historical building restoration specialists, it’s vital that we take an interest and notice the details that they have to offer. After all, there are various styles that very much contribute to modern day architectural designs. The way that you can spot these details is to occasionally trade in the car in favour of walking down the street, the time to look at the buildings you pass or to spend some time visiting the various historical landmarks around the UK. There are so many with various different styles that very much differ in detail. Some historical buildings present beautiful and intricate artwork that has been preserved for years in order to give future generations a look into our rich history. Others have opted for different materials to give that building a specific unique and new look. Alongside this, there are hundreds of years’ worth of architecture that offer various different styles. Whilst it’s hoped that many historical buildings will stand the test of time, many may not, making it important that we notice the details now before it becomes too late. 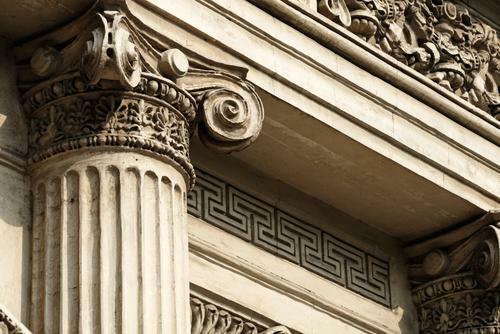 Historical building restoration is an ongoing process but, when these buildings are no more, you may regret missing the things that you didn’t see. So keep your eyes wide open.